It isn’t typically until something goes wrong with your boiler that you really pay attention to it. It is not uncommon for boilers to suffer a fault during the winter period when they are first turned on after months of being out of use. In the latest blog post by EGP Plumbers, we take a look at the most common boiler problems you can face and what may be causing them. If you have no heat or hot water, there are many possible reasons that could cause this, including broken diaphragms and airlocks, motorised valve failures or low water levels. A professional engineer will be able to identify any broken parts and replace them. Many people describe whistling, gurgling or even banging noises coming from their boiler and although these may sound serious, there is sometimes a simple explanation. Trapped air, low water pressure and kettling are all common causes of these sounds. However, if you have a much older unit, such sounds could indicate an impending pump failure. In the thick of winter, the last thing you want is for your radiators not to heat up. If your radiators refuse to heat up or only heat up in certain areas, this could be a sign there is a build-up of sludge or trapped air. Sometimes such indicators may mean that the radiator needs to be bled and this can either be done by you or a professional engineer. The annoyance of your boiler turning itself off is not something you want to deal with when you go to get your morning shower. A boiler randomly switching off may be the sign of low water pressure or low water flow, due to a closed valve. Other causes for your boiler turning itself off may be poor water circulation caused by an issue with the pump. 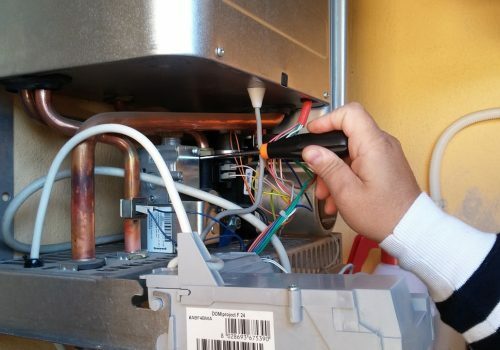 The professional team at EGP Plumbers have been carrying out boiler replacements, repairs and services for many years and can help you spot unusual or common boiler problems before they cause you a problem. If you would like more information on our services, please call 0116 264 5115. Alternatively, fill out our online contact form and we’ll get back to you shortly. ← Whats involved in a boiler service?